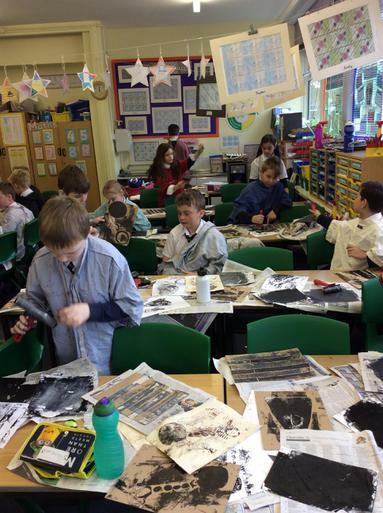 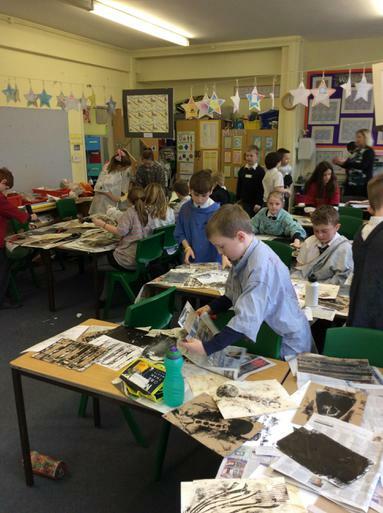 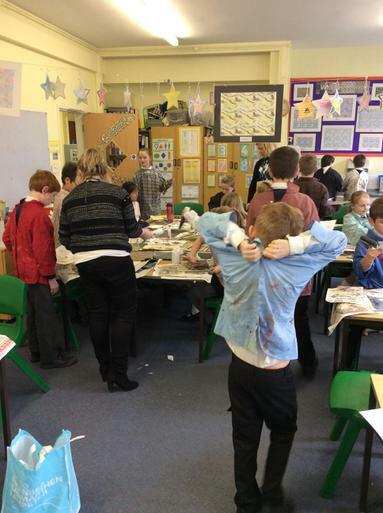 Class 7 have had the fantastic opportunity to work with Artist Miss Askew from Bournside Secondary School. 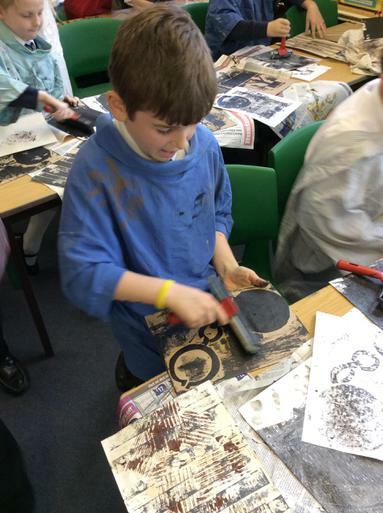 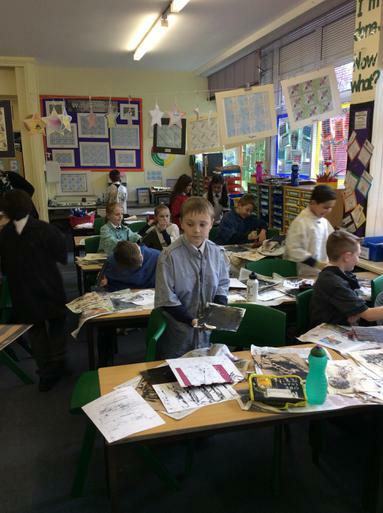 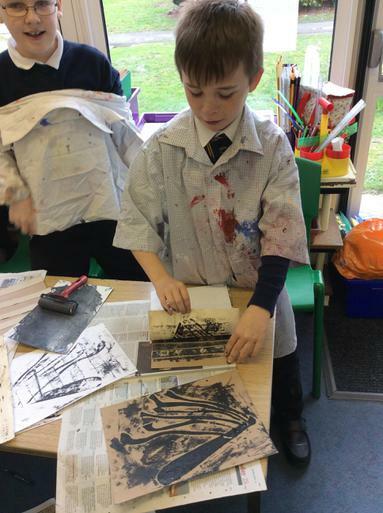 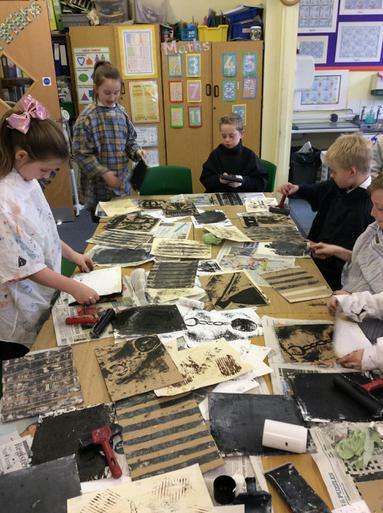 The children took part in printing activities using ink and paint to tie in with their crime and punishment topic within school. 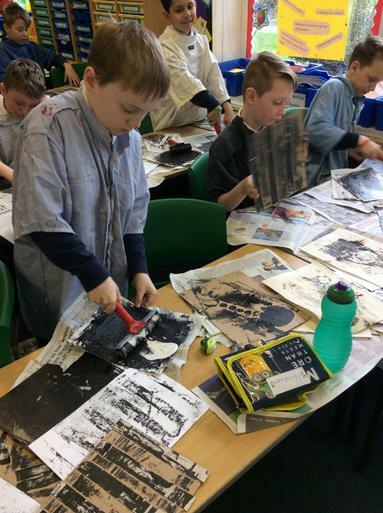 The children had some fantastic results and thoroughly enjoyed making a mess!